I found this collection recently by accident, but it’s certainly worth sharing. 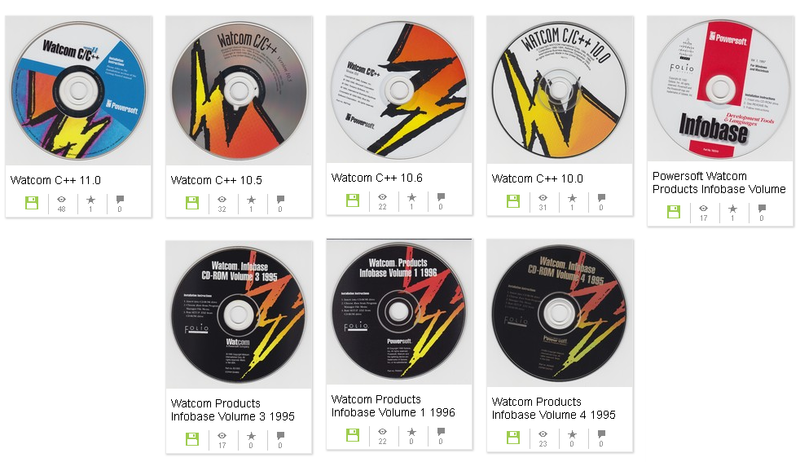 I was a SUPER big fan of Watcom C/C++ 10.0 back in the day as it includes not only so many targets, but also host setups making it a really great compiler for the day to target 16-bit MS-DOS, 32bit extended DOS, OS/2 16bit & 32bit, Win16, Win32, a custom 32bit Windows extender, 32bit Novel NLM’s, Autocad extensions, and no doubt many more I’m forgetting. 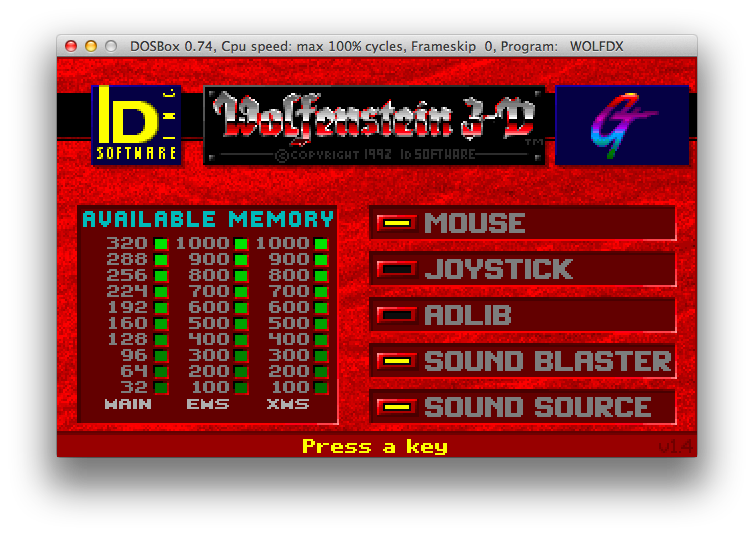 This is great for things like trying to build Duke Nuke’m 3D, and other vintage era stuff. So the floors and ceiling render, but the walls are all screwed up… so close! As a matter of fact, I was terrible. 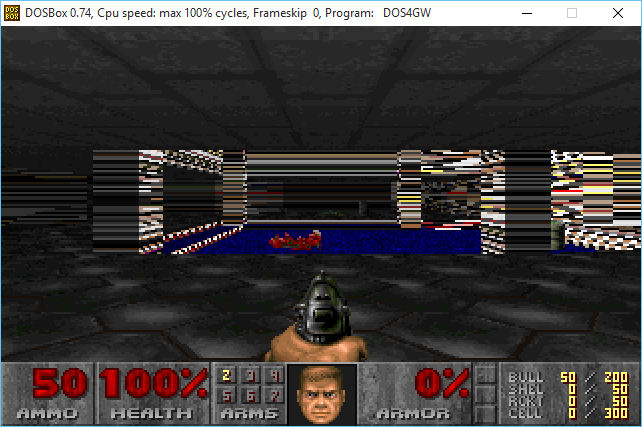 Apparently I get lost in 3d worlds like this, and I get dizzy and need to lie down. Something about these kinds of 3d virtual worlds. At least it doesn’t pertain to virtual machines. 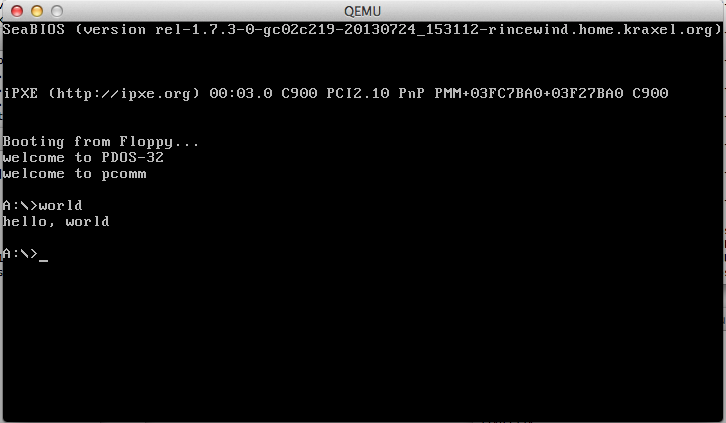 I was unable to find Opus Make, however with a little bit of tweaking, Microsoft nmake can happily read the makefiles. The other small snag largely was due to MS-DOS not being able to process massive commandlines, and having to build response files to the librarian and linker in various parts. 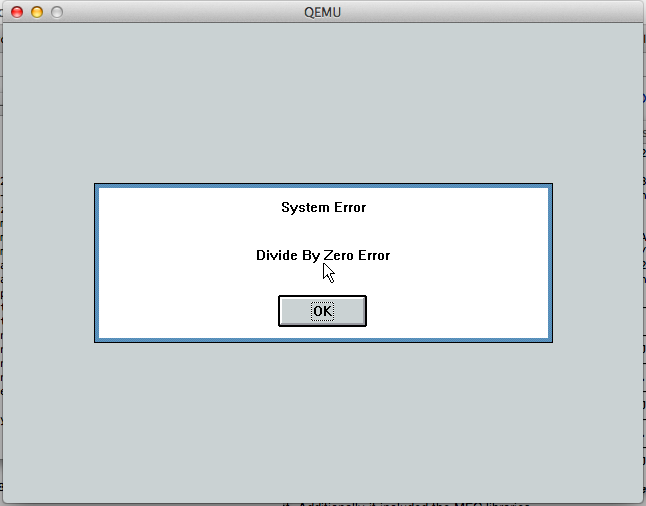 But all in all it was thankfully a trivial amount of work to get a working executable. I only tested it for a few minutes until I was feeling out of it again. I guess it isn’t surprising, I had issues when it was full screen back in 1994, but in a tiny window in 2013 it is unbearable. For the two or three people who care, here is my VMDK that I used. 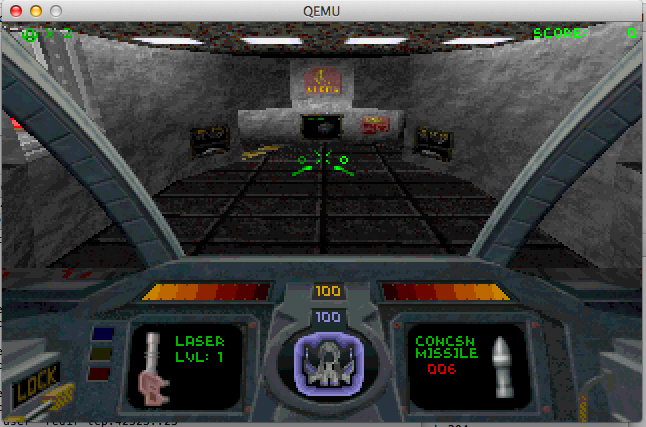 It works fine with Qemu probably other emulators that can read VMDK’s. So, I came across this project from some random google search on Watcom the other day. Simply put it is a MS-DOS API that is supported in both a 16bit real mode operating system, and a 32bit operating system. It is quite sparse but very interesting all the same. 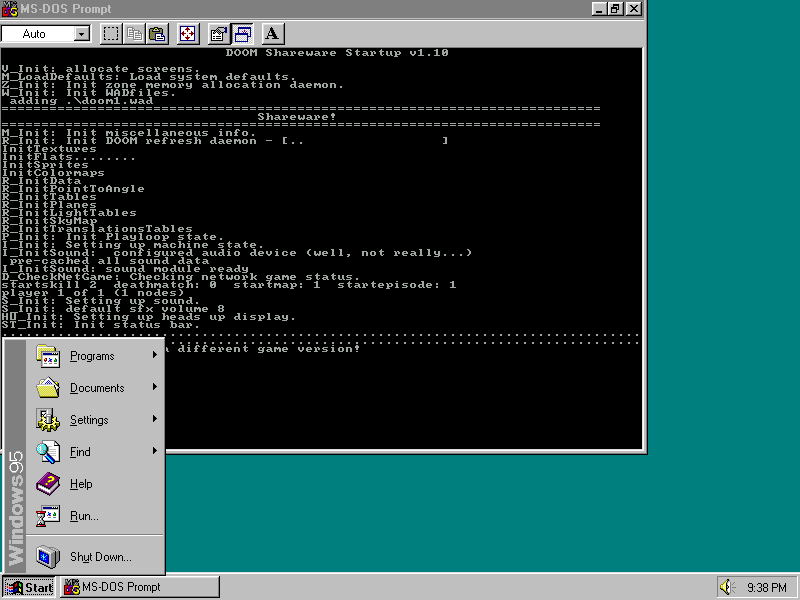 Using the ancient EMX port of GCC you can build 32bit (simple) programs, and run them in the 32bit DOS like Operating System. What makes this even more interesting is that there is a port to the IBM 370, and 390 based hardware, along with the fictional 380. 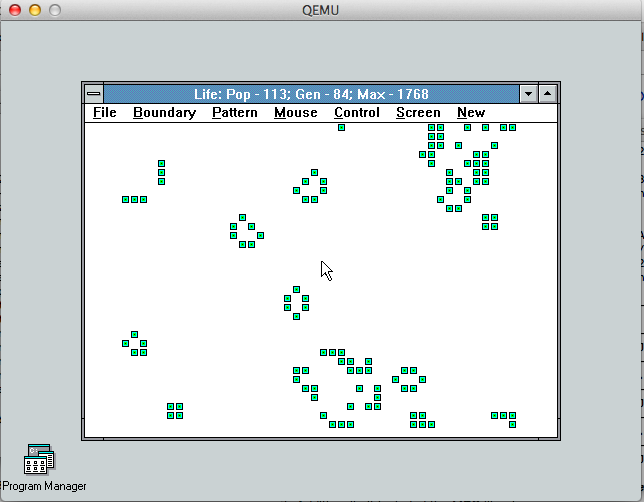 You can download my diskimages, (VMDK & floppy disk) that I’ve used with Qemu to build & boot PDOS both 16bit and 32bit. 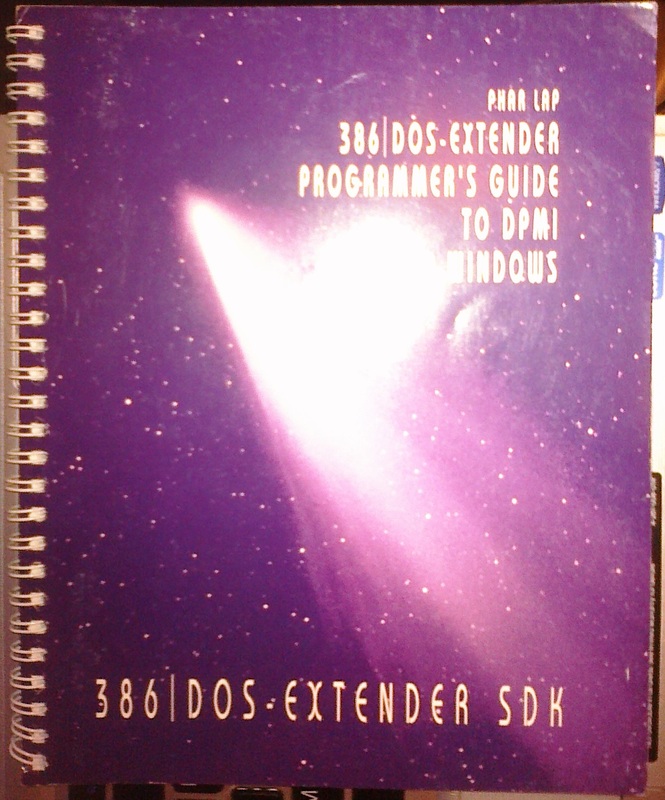 The included libc & system libraries are lacking compared to real MS-DOS, but this is public domain code, and with a bit of TLC it could be made into something much more. Well most of it anyways…. 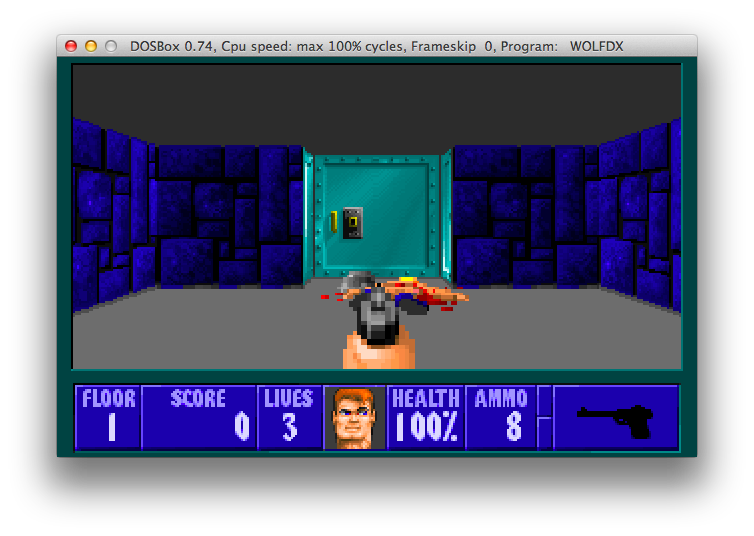 I mashed in all you need to build it for MS-DOS under MS-DOS here. 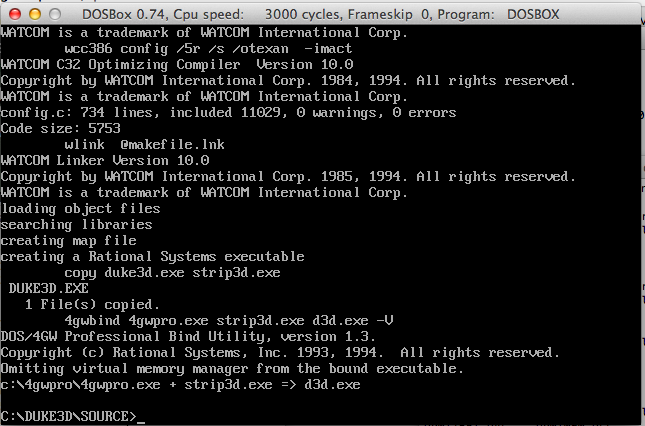 It should be really simple, just run the Watcom C’s setvars, then go into the duke3d\source directory and run ‘wmake’ … All being well it’ll output some exe’s. I’ve also included the shareware data files so you can test your executables. Not bad for being under 10Mb, compressed. My package from Germany finally arrived…! 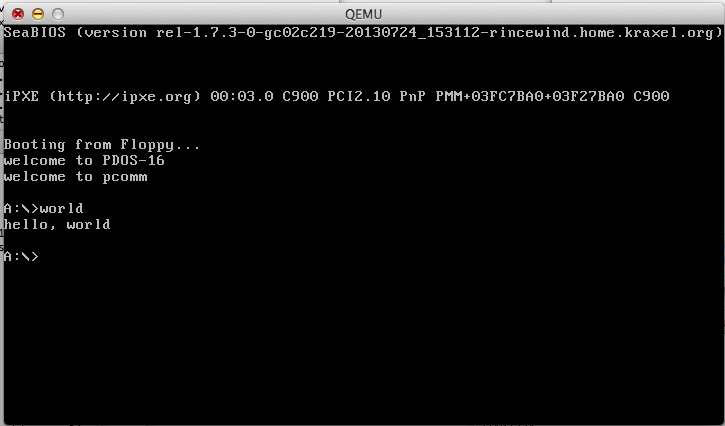 And it contains Phar Lap 386 versions 4.1 and 5.0! But something arrived in the mail. So I spent 2 hours cleaning things up and fighting with Watcom getting a skeleton verison of Doom to build. It’s finally running. Now to do some keyboard/video stuff. Maybe more later though. But I may have to bench them some how Dos4G/W vs Phar Lap 386…. I donno.